Matthew P. Mayo is the award-winning author of thirty-plus books and dozens more short stories. His novel, Stranded: A Story of Frontier Survival, won the prestigious Western Heritage Wrangler Award for Outstanding Western Novel by the National Cowboy & Western Heritage Museum, as well as the Spur Award for Best Western Juvenile Fiction by the Western Writers of America, the Peacemaker Award for Best YA Novel by Western Fictioneers, and the Willa Literary Award for Best Historical Fiction by Women Writing the West. His novel, Tucker’s Reckoning, won the Spur Award for Best Western Novel, and his short stories have been Spur Award and Peacemaker Award finalists. He has been an on-screen expert for a popular TV series about lost treasure i Matthew P. Mayo is the award-winning author of thirty-plus books and dozens more short stories. His novel, Stranded: A Story of Frontier Survival, won the prestigious Western Heritage Wrangler Award for Outstanding Western Novel by the National Cowboy & Western Heritage Museum, as well as the Spur Award for Best Western Juvenile Fiction by the Western Writers of America, the Peacemaker Award for Best YA Novel by Western Fictioneers, and the Willa Literary Award for Best Historical Fiction by Women Writing the West. His novel, Tucker’s Reckoning, won the Spur Award for Best Western Novel, and his short stories have been Spur Award and Peacemaker Award finalists. 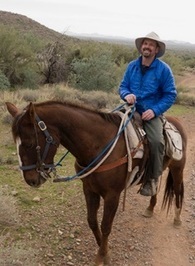 He has been an on-screen expert for a popular TV series about lost treasure in the American West, and is an Eagle Scout in the Boy Scouts of America. Matthew and his wife, photographer and videographer Jennifer Smith-Mayo, along with their indefatigable pup, Miss Tess, run Gritty Press (www.GrittyPress.com) and live in the deepest, forested wildlands of Maine. When they’re not battling belligerent bigfoots and foiling the filching ways of hordes of gray squirrels, they rove the byways of North America in search of hot coffee, tasty whiskey, and high adventure. Be sure to rummage at Matthew’s website (www.MatthewMayo.com) for updates about spurious projects, outrageous outings, and a few surprises, too…. The post Let’s get STRANDED in all the schools! appeared first on Matthew P. Mayo. We’d love your help. Let us know what’s wrong with this preview of Steampunk'd by Jean Rabe. We’d love your help. Let us know what’s wrong with this preview of Maine Icons by Jennifer Smith-Mayo. We’d love your help. Let us know what’s wrong with this preview of Bootleggers, Lobstermen & Lumberjacks by Matthew P. Mayo.